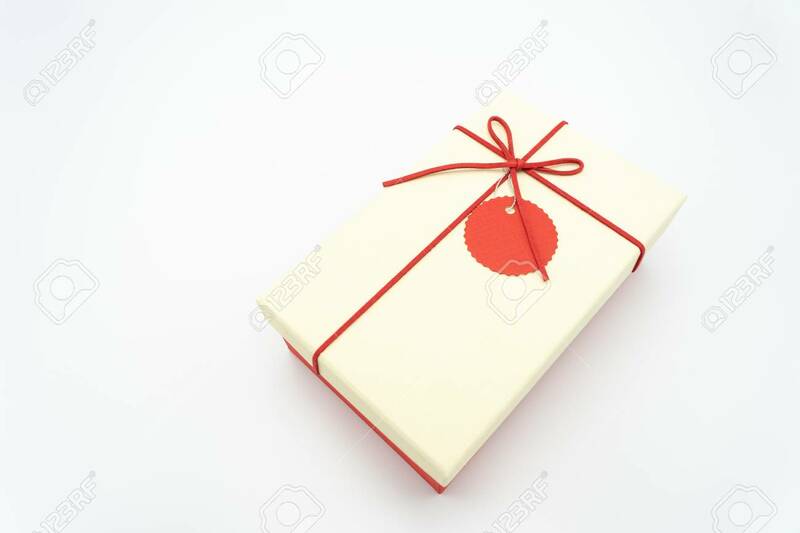 Gift Box White With A Red Rope Wrapped Around The Corner From A High Angle Photography Suitable For White Paste Text Editing. Or Include Media, Advertisements, Ideas, New Year, Valentine's Day Lizenzfreie Fotos, Bilder Und Stock Fotografie. Image 114603155.